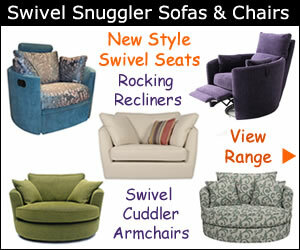 Make any space special and let your imagination run free with comfortable living room furniture. Built to a high standard and beautifully designed sofas, loveseats and snuggler armchairs come in a wide range of styles in fabric and leather. 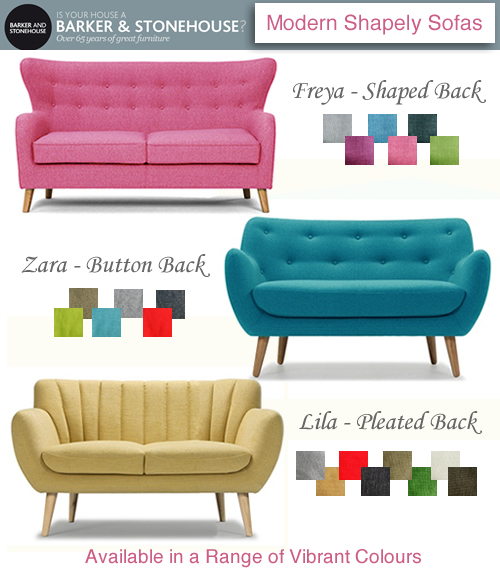 For a cool retro feel soft contoured shapes and vintage classics such as buttoned back, rolled arms and parlour style sofas come to mind. 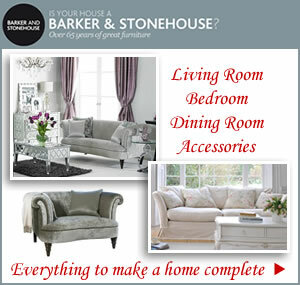 Add a focal point with one of Barker & Stonehouse’s compact sofas. The Freya 2 seater brings a modern touch to a living room. Features include low arms curved high back with buttoned detailing, light wooden legs and foam filled seat and back. Complete the look with a matching armchair. The Lila range of 2 and 3 seater sofas oozes charm with its pleated back and gently flared arms. Enhance your home with colourful and beautiful pieces from a range of traditional and trendy furniture. Colours to make you smile will brighten any room and create a feeling of fun even on the greyest day. Express your unique style with contoured shape sofas and chairs in the most delightful shades. A kaleidoscope of colours await including bright pink, metal grey, lime green, blue, yellow, aubergine, red, brown, chocolate and cream. Transform a favourite corner into a talking point with a stunning piece of furniture. 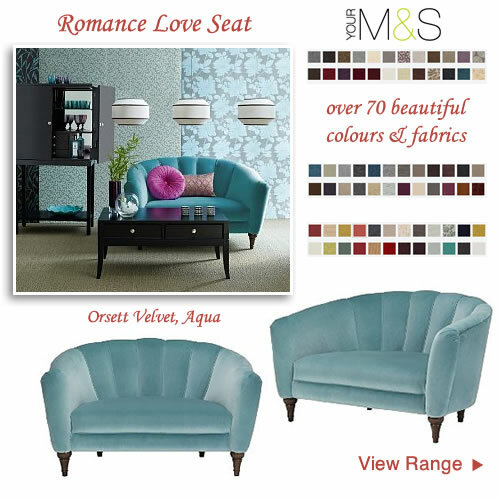 The Romance Love Seat from M&S ticks all the boxes for style with its unique shell-like shape back and comfy wide dimensions. Take your pick from an array of beautiful colours and quality fabrics from luxurious velvet, smooth leather, soft chenille, textured weave and wool. 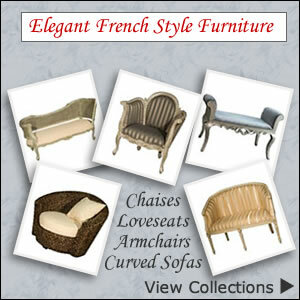 This elegant two seater with its classic beauty will make an enchanting addition for your home. Whether placed in a lounge, conservatory or bedroom tucked beneath a bay window the Romance loveseat is perfect for adding a graceful touch. Selecting your fabric is probably going to be easier than the colour. With over 70 shades/fabrics to choose you may just take the easy route and go with natural. But for a little drama there’s plenty of eye-catching prints as well as vibrant hues in ruby red, plum, teal and coral. A hand crafted shell shaped design gives a contemporary edge ideal for modern homes. 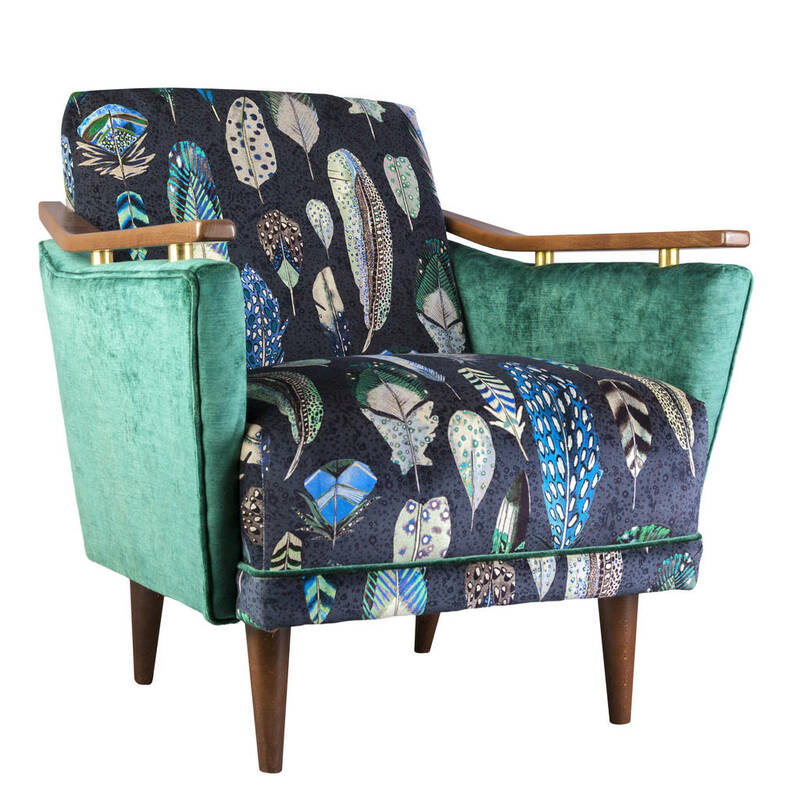 Our selection is the Orsett Velvet chair in a stunning aqua shade. Pops of colour can be added with quirky cushions in fuschia pink. Features include a fixed foam seat and back, solid hardwood feet and frame. All fabrics have been treated with a stain resistant finish.